Adhere to the "technology-based, contingency fight the market, innovation and development, quality had to survive" business philosophy, the company..
Kunshan Qiang Wei Powder Equipment Co., Ltd. is a professional production of various jet mill series, development, manufacture and application of science and technology private enterprise, the main product models: LZQS series of fluidized bed jet mill; YQS series of supersonic jet mill; GFJ series of high efficiency grinder; ZLJ-350 Granulator; ZLJ Series Whole grinder; high-precision air filter; FX series of grading machine; ZF series Vacuum Powder Feeding Machine; M250 ultra-low temperature mechanical grinder, etc. products. 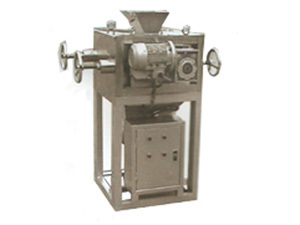 Product 17 projects were national patent, which received a national invention patent.The company was awarded "China Top Ten grinder famous brand", "Suzhou famous brand"